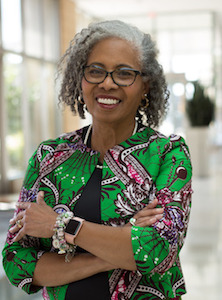 The School of Education at the University of Wisconsin-Madison (UW-Madison) has announced it will hosts a public discussion and reception to honor the career and work of former faculty member, Dr. Gloria Ladson-Billings. The event will center on showcasing Ladson-Billings’ legacy while also getting insight into how she plans to use her role as president of the National Academy of Education (NAEd) to address challenges and determine innovative approaches to bring insights from research and practice to support different domains, according to a UW-Madison release. Ladson-Billings formally retired from her position as the Kellner Family Distinguished Chair in Urban Education on Jan. 4, 2018 after being on the UW-Madison faculty for over 26 years. A prolific and well-known scholar, she has dedicated most of her academic career to analyzing the practices of teachers who are successful with struggling students.